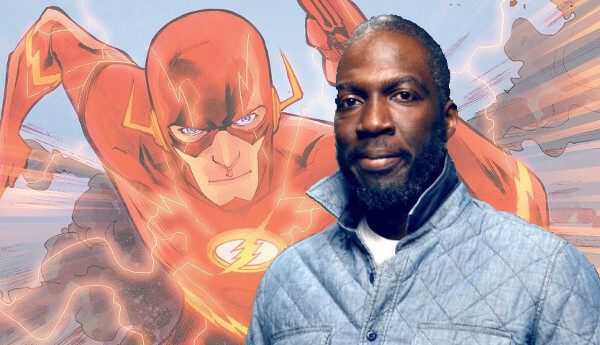 Here are five things you need to know about Rick Famuyiwa the new director of The Flash solo movie for DC. Yesterday Deadline revealed that DC has finally found a director Rick Famuyiwa for their upcoming DC Extended Universe film The Flash (2018) starring Ezra Miller. He'll take over from director Seth Grahame-Smith who left because of "creative differences". The up-and-coming director received critical acclaim for his film Dope last year. He will direct the film that Warner Bros has scheduled for release on March 16, 2018. Here are five things you need to know about the Nigerian-American Hollywood film director, producer, and screenwriter. Rick Famuyiwa was born June 18, 1973, and is the son of Nigerian immigrants and a first-generation American. He grew up near Los Angeles in the city of Inglewood and he says it's nothing like we imagine. His experiences there in High School inspired his first feature film The Wood. "The thing you gotta understand about L.A. is that everything is suburbia," Famuyiwa told Spliced Wire back in 1999, "Los Angeles isn't set up like San Francisco or New York. People come to L.A. and they expect to see a ghetto like the projects, but that's not the way it's set up. Inglewood, in particular, is the furthest thing from a ghetto. It's a middle-class community, but it's gotten a bad rap over the years...because of Grand Canyon and Pulp Fiction and other films." His commitment to breaking stereotypes has carried over into all his films. Famuyiwa graduated from the University of Southern California (USC) with Bachelor of Arts degrees in Cinematic Arts Film & Television Production and Cinematic Arts Critical Studies, from the USC College of Letters, Arts & Sciences. 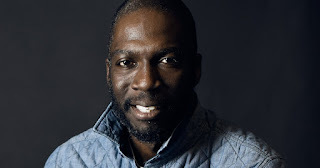 Rick Famuyiwa is also a member of the Director’s Guild of America. Besides the acclaim of his last film Dope, people are saying he should get an Emmy for directing the HBO drama Confirmation about the Anita Hill-Clarence Thomas hearing starring Kerry Washington and Wendell Pierce. His break-out hit Dope is a film about a "geeky" boy growing up in California in the mid-90s. The majority of his films have themes of friendship, acceptance, character development and progression. These themes are also explored in movies like The Wood (1999), Brown Sugar (2002), and Talk to Me (2007). In 2000, The Black Reel Awards nominated Famuyiwa for Best Director (Theatrical) for his work on The Wood. That same year, the National Association for the Advancement of Colored People (NAACP) Image Awards nominated The Wood for Outstanding Motion Picture. Three years later, in 2003, Famuyiwa was once again nominated by the NAACP Image Awards for Outstanding Motion Picture after making Brown Sugar. In 2008, he got another NAACP Image Award for his work on Kasi Lemmons’ Talk To Me for Outstanding Motion Picture and Famuyiwa won for Outstanding Writing in a Motion Picture (Theatrical or Television). He joins Ryan Coogler, who's directing Black Panther (2018) and Tim Story who directed Fantastic Four (2005) and Fantastic Four: Rise of the Silver Surfer (2007) as the only Black comic book movie directors in a mainstream film. Before this film, he's done low-budget movies and that's how he likes it. At a Directors Guild of America panel, he said making low-cost films is the best way for an African-American director in the Hollywood film industry. He feels there are so many stereotypes and barriers for directors of color in the industry that it's hard to make a film without keeping costs low. "Make it under $10 million, put this much into marketing, make 25 to 35 million dollars and we'll walk away with a profitable film," he told the panel, "And as long as you can deliver scripts that are under $10 million with no effects, that you can shoot in 30 days and get back 'X' amount, I think you can always have a steady stream of a certain kind of film." This is the first big budget film he's made, but he's a big step up from Seth Grahame-Smith who is mainly known for his screenwriting work on films like Pride and Prejudice and Zombies and Abraham Lincoln: Vampire Hunter. The Flash was supposed to be Grahame-Smith's first theatrical directing job. Grahame-Smith directed two episodes of MTV’s "The Hard Times of RJ Berger," which he co-created. It's not the first time an indie director was handed the job of a big-budget film. Colin Trevorrow was known for small independent films like Safety Not Guaranteed (2012) before directing the big budget movie Jurassic World (2015). So Famuyiwa's background doesn't mean he can't bring it on. In fact, Famuyiwa has a lot of experience in the film industry and will bring a fresh new take on the DCEU. Phil Lord, who wrote a film treatment for the film told The Hippojuice Podcast, "we're more trying to stick with the cinematic universe... it really is its own thing and is kind of a standalone movie". He also teased that "it's kind of a different take on superhero stuff." Ezra Miller has a cameo in Batman v Superman: Dawn of Justice (2016) and is in the upcoming Justice League: Part One (2017). After Batman v Superman, Warner Bros is looking for a director that can bring relatable characters to the film in a way that resonates with young viewers. The studio feels his film Dope perfectly captures that and he can bring the movie what it's looking for. He'll be working from the screenplay by Grahame-Smith which he wrote working from a treatment by Phil Lord and Christopher Miller who directed The LEGO Movie. There's no word if he'll be making any changes now that he's come on board. 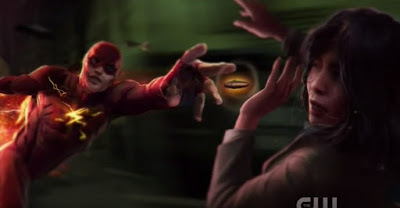 Ezra Miller will be playing Barry Allen AKA The Flash who's "the fastest man alive". The movie is set to take place after Justice League Part One and it won't be an origin story. What do you think of the casting of Rick Famuyiwa as the director of The Flash? I'm an avid science fiction fan, former professional graphic designer, and certified blerd. After the death of my Star Wars action figures, I use my powers for good and not for evil. We love your comments, but please be mindful of our comment policy when making comments. Thank you!